After all these months of doing the Sunday Inspirations that have featured the Passerformes Order of birds, we are getting near the end of the list. Known as Passerines or Song Birds, there has been 125 families to tell about and show their pictures. There are seven families left, of which, three of them are small in number, so they are being grouped together in this Sunday Inspiration. First we have group of birds in an Incertae Sedis or Uncertain Family. “Incertae sedis (Latin for ‘of uncertain placement’) is a term used for a taxonomic group where its broader relationships are unknown or undefined.” (Wikipedia) That means they don’t know into which families to place these birds. 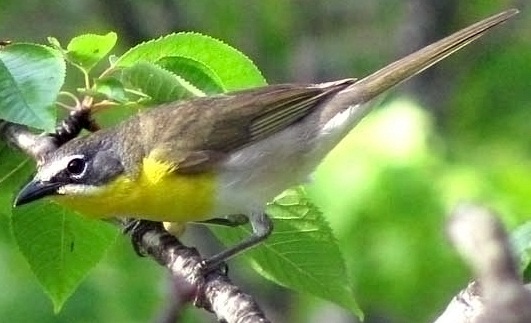 The six birds in this family currently are the Green-tailed Warbler, Yellow-headed Warbler, Oriente Warbler, Wrenthrush, Yellow-breasted Chat, and the White-winged Warbler. 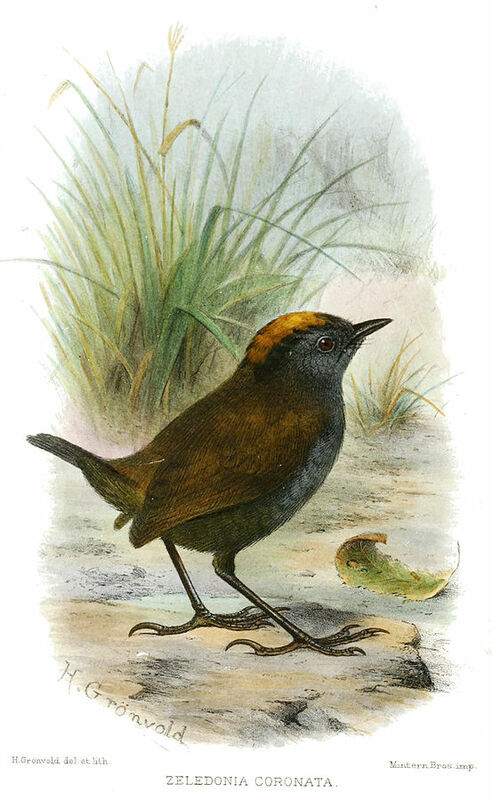 For instance the Wrenthrush (Zeledonia coronata) is neither a wren or a thrush (and unrelated to both). No copyright free photos are available to use other than this drawing. You can see a few photos here. The Bananaquit belongs to the Coerebidae family. It is the only member, but there are numerous subspecies. I suspect one day they will split some of them off into separate species in the family. In fact they are suggesting three species already. We saw one down at Zoo Miami’s Cloud Forest. Our last small family this week is the Calcariidae. There are six members here also. The four Longspurs; Mccown’s, Lapland, Smith’s and Chestnut-collared; and two Buntings, the Snow and McKay’s Bunting. 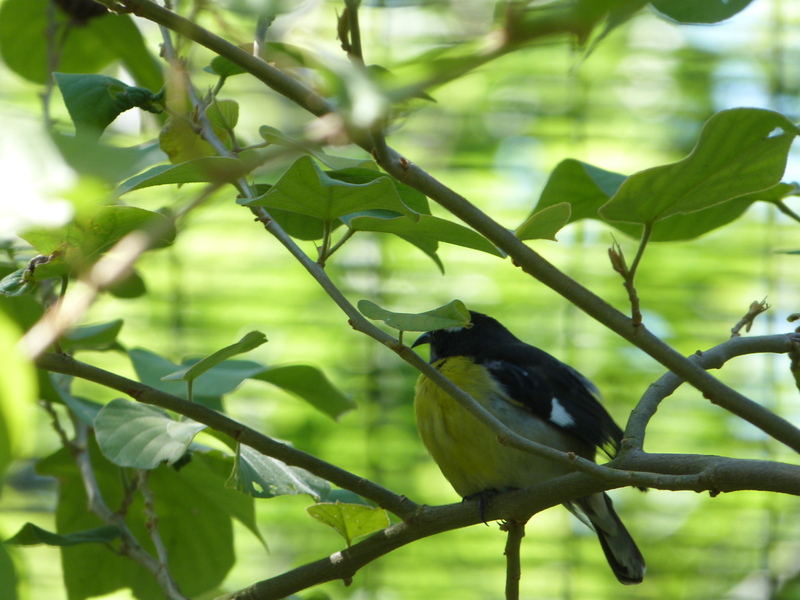 This entry was posted in Birds, Birdwatching, Christian, Sunday Inspiration and tagged Bananaquit, Christianity, Creation, Faith Baptist Quartet, Home School, I'll Be A Friend To Jesus, Incertae Sedis, Inspiration, Nature, Photography. Bookmark the permalink.